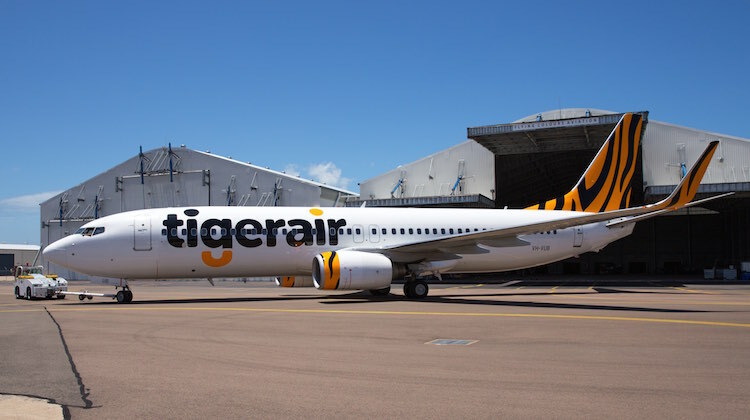 The first of three Boeing 737s being transferred to Tigerair Australia to begin international services to Bali next year has emerged from the paintshop. Virgin Australia 737-8FE VH-VUB was towed out of the Flying Colours paintshop at Townsville on Sunday morning ahead of flying into Melbourne on Sunday afternoon. The aircraft is one of three 737s being transferred from Virgin to its wholly-owned low-cost unit Tigerair to take over the Adelaide-Bali, Melbourne-Bali and Perth-Bali routes from March 23 next year. The 737s will remain on the Virgin Australia International Airlines air operator’s certificate and will be flown by Virgin pilots alongside Tigerair cabin crew. They are due to be reconfigured into a one-class layout with 180 seats. Tigerair Australia currently operates 14 Airbus A320s. What the hell! Tiger Air 737s? Why do they need 3 of VA’s 737s for their Bali routes? Cant they just use more A320s? The Tigerair colours on the B738 actually look quite nifty, and no doubt their low cost flights to Bali will attract more leisure pax. Looks quite schmick if you ask me. Great to see a different livery on a 787 other then QF/VA. Bob .E, some may ask what does the name Virgin got to do with some sections of the Australian community…..
Hey Bob E., maybe Dingoair, or Goannaair, possibly Wombatair; Wow the mind boggles at the choices.! so… Can someone please tell me what the point of re painting a 3 737s was? Does Tigerair need more planes or something, do they not have a320s? or… do they just like spending? A320s aren’t economic enough to go from particular ports to Bali. You will find airlines who do operate them there, such as Jetstar are required to cap flights so they aren’t full in order to put enough fuel in without the aircraft becoming overweight. The question is valid…. What does Virgin/Tiger gain by using the B738 over its A320s? Does the A320 not have the legs or payload for the sectors? From my understanding they are using the Virgin 737’s (still registered as a Virgin Australia Aircraft with Virgin Australia pilots , but with a different livery) as Tiger planes are not registered for international travel, and its much more cost effective to use a already registered International Aircraft..
Random – The answer to your question is NO, the A320 does not have the legs to get from some of the major Australian ports eg. Melbourne, Brisbane, Sydney to Bali, hence that is why Virgin have transferred 3 x 737’s to Tiger to do these runs. Everyone is a fleet expert. Just to set the record straight. VA have had these 3 airframes sitting idle for some time, and it made more sense to utilise these on a temporary basis to see if the change of provider/route combo stuck before outlaying anything on extra aircraft. Also, VA’s AOC covers International as well as Domestic – hence VA aircrew. Whole thing is to facilitate a minimum cost change to a low cost model on the route. It has nothing to do with how the aircraft models look in the livery. 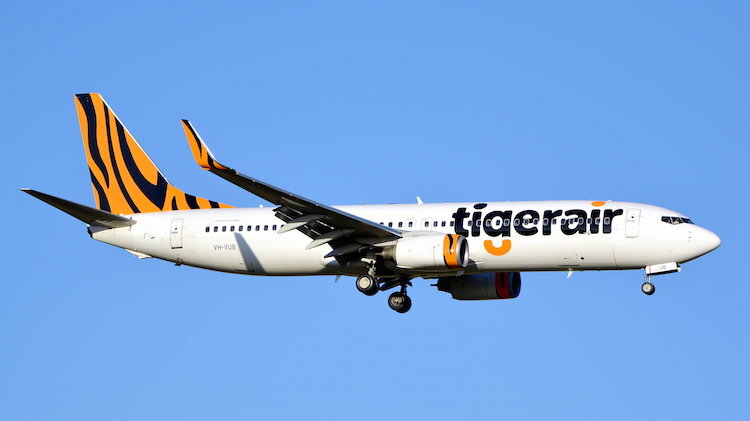 The travelling public is used to the Tigerair name now, and has a much better reputation under VA ownership than under the prev. Singapore ownership. It will hopefully give a realistic alternative to Squashstar on the Bali route. Why not just call it Fair Go Air and be done with it… or Virgin Jr. for example.. then again Koala Air or heaven forbid, Bogan Air… any other suggestions… ? You’ll find that the RAAF already has dibs on Dingo Airlines (38SQN) and Wallaby Airlines (35SQN)! – B738 has better payload range than an A320CEO, especially in a 180Y configuration. – VAI already have the approvals to operate to Indonesia from Australia. – Easy to transfer the capacity under a wet lease arrangement to TigerAir Aus. – Ownership issues? Unsure if TigerAir Aus complies with the foreign ownership requirements for international operations. VAI certainly does (much to the chagrin of Qantas Group). – VA had these three frames available with little work required to release them. VUB is actually one of the ex Pacific Blue airframes. Who really cares as you never know if flights to Bali will actually operate. There are so many better beach places in Asia to visit. Where else were they expected to get Planes for BALI from.Singapore Airlines don’t have anything smaller than a330’s or 777-200’s that can be used for such sectors as the former parent company.A Scoot 787 would be too much it was either this or going to Silk Air for the same 738’s or 320’s. It is easier to use the Virgin a/c as its an AOC thing and a crew training thing. Its also an a/c operations thing. i.e. fuel, range. It is also potentially a move to shift over the A320’s to all 737max’s in due course, and then MOU the Virgin FO’s who feel they are owed a cmd position, and will jump over to Tiger. The unions will probably roll-over and allow it all to happen and the Tiger pilots will get shafted on the seniority list, as I imagine many may not have the 737 hours. Its interesting as Borgetti needs to pull his finger out of his arse and get some carbon framed aircraft as how on earth can he compete with the B787 with 330’s and 777’s!!!?? Thats why he needs Tiger to expand with the lower cost base and move majority of Virgin higher paids to Tiger. Thats my 2cents, we’ll all see if it pans out soon enough. I am keeping an eye on the ASX page for any fleet and route announcements for Tiger and Virgin! Borgetti has been pushing it back for a little while now…… Hopefully they are not making it up as they go!